Trust me, life is simply a joke………. Thank you so much dear Krishnapriya for your wonderful words. Life is Love and so nice to find our life that is full of love and nothing else. All others is simply a joke. So true and agree totally with your words of wonderful insight, Radhika. Thank you so much dear. Ah, just loved the message Kamal. Life would be enjoyable, if only we could follow this daily. Well said !! Thanks so much for your great feedback dear Deepika. Life surely would be enjoyable and delightful every single moment. Thanks so much for dear Kate for your wonderful words. Life is always to be loved and taken in her beautiful essence. lived to the fullest with few regrets Kamal! That’s so great Kate. All of us r here because of our karmas the day we understand who we r the whole picture will be clear. Thanks to beloved Meher Baba and his words that so much of life is understood. Yes absolutely true Kate. A happy day to you. Yes absolutely true Indira. Thank you so much. I love the message in your poem. Life is much easier when you always think positively, and look at the bright side of things. Not only facing the history of our lives as perplexing mystery, but also as a bit of a comedy at which we can (and should) laugh is surely an important element to thriving rather than simply surviving. Wonderful thoughts captured in a wonderful poem, dear Kamal! Thank you, and blessings to you! Yes dear Jonathan I completely agree with your words. Yes our life is surely a comedy and all this happiness and sadness is brought about by us only. If we all loved the whole humanity as one of us this world would have been a wonderful place to live and all would be happy. Thanks so much. Blessings to you too have a great day. Kamal, that’s a beautiful invitation how to love life. Thank you for sharing your amazing words. Welcome so much dear Cornelia and yes I too agree totally with your words. Love life and it will love you back a thousand times. Thanks dear and yes to love life in all her beauty. Thanks for the kind gesture always Romilia. Oh thank you a trillion times for your superb comments dear Marta and yes I would love to read Maroi and catch u with his work. Thanks once again and so nice to be in love with our lives and let her lead us where she wants to take us. You are very kindly welcome. I am sure you will like Mario’s story. It is a pity that such a talented writer as he is, like you, instead, gets such few likes, comments and general attention on his blog. Mario deserves much more attention than me. You and he are far better writers than myself. No, it is not like that, Marta we r all creative and do our best. Yes I too sometimes feel when some bloggers are so talented their work is not recognized and hardly people comment. Precisely so, please, I beg, have a look at Mario’s work. If it weren’t for him I wouldn’t have my blog and I wouldn’t have come across you either. That Mario’s work gets a bit more valued is more important to me than my own work. Yes I have gone through it but will read it properly and answer it properly he is a great writer and I liked his work. Will definitely follow him tomorrow. In India it is time for bed. So tomorrow first thing as soon as I get on my computer. Good night dear, Marta. Good night, dear Kamal. And thank you so much. I am glad you too find Mario is a great writer. Sleep well. Yes and I love your poems too. U sure r a great writer. See u tomorrow sleep well dear Marta. Indeed…we all have one go-around at Life that fleets so fast…great motivator. Yes absolutely true, Zaza and why not enjoy and love life to her ultimate. Thanks so much. 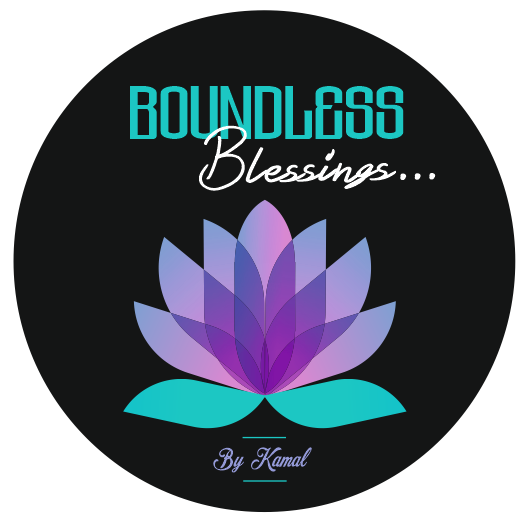 This is a wonderful prescription for living a content life, Kamal. Beautiful poem. Thanks so much for your lovely words, Diana. Thanks so much dear Annika. Yes and so nice if we could love life in all her essence. Thanks a lot dear Robbie. Yes so true and I so agree with her quote, one life is what we get then why not enjoy her to the fullest and unnecessary keep on fretting and fuming. Thanks so much Debbie for your great words. Yes absolutely true and agree totally with your words. Love life for that is the reality. Thank you for your great comments. You are welcome . Do find time and visit sunniesmybunnies and leave your thoughts for me . Yes absolutely will do so immediately. The whole article was very well written and that just tell you that the author knows what he’s talking about. Thanks so much for your kind words, Naveen. Simply beautiful piece of inspiration to live life lovingly! Yes so true. Thanks Savvy. Previous Previous post: Professionals who get away with saying factual words…..
Next Next post: Do Not Be Slave of Your Words………..